“In November 2010 I realised I needed to follow my dreams and that was to show you that it is possible to make a difference in the world just by the simple everyday choices you make. We live at a very special time in history when we have so much choice. 20 years back, we had no choice, we just had to choose electricity generated by fossil fuels and that was it, today we can choose totally renewable electricity for only as much as 70 pence more per week on average, it makes choosing green energy a totally logical and afordable in my mind. The trouble is that we think that if it is eco it must be more expensive, I think even the poorest people can afford 70 pence extra per week for GoodEnergy. I mean what is 70 pence these days, that is the price of a cheap loaf of sliced bread, (not that I am saying you should buy cheap bread, but a lot of people do). We can go to the shop and choose organic milk or we can have standard milk, we can buy ethical chothes or not, we can buy fair trade or not, everyday we have a chance to vote, we have a chance to vote for a better world. The power is in our hands, not in those who we think are in charge. Money talks, we can use ours to guide human kind towards the world we want for our children. We are in charge or our world, the consumer is in charge, not the governments and companies, we blame governments and companies, but we should be looking at ourselves to solve these problems and not another source that we cannot control. We can’t directly control what a company does or what a government does. We only have one vote, and as we know that means nothing these days, but every day, numerous times a day we are given a vote, so I urge you to be more curious about your voting choices, find out what your materials, furniture, food, clothes are made of, where and by who? Would you send you 10 year old daughter to work in the factory at the end of your road for 12 hours a day? I suspect not. So why should you accept products that have been made in such a way by someone else’s child!? Tristan Titeux’s first Pioneering project “Stram Straw” made with straw, a waste material. Long strands of straw bonded together with no glue. 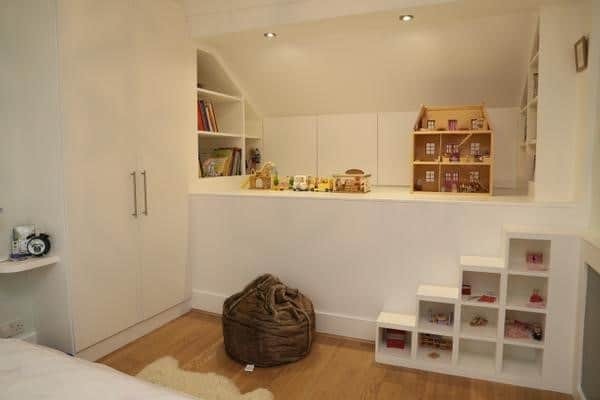 So this takes me onto my first pioneering fitted furniture project. What is pionerring about “Stram Straw”? No one has ever used this material in furniture or fitted furniture before. 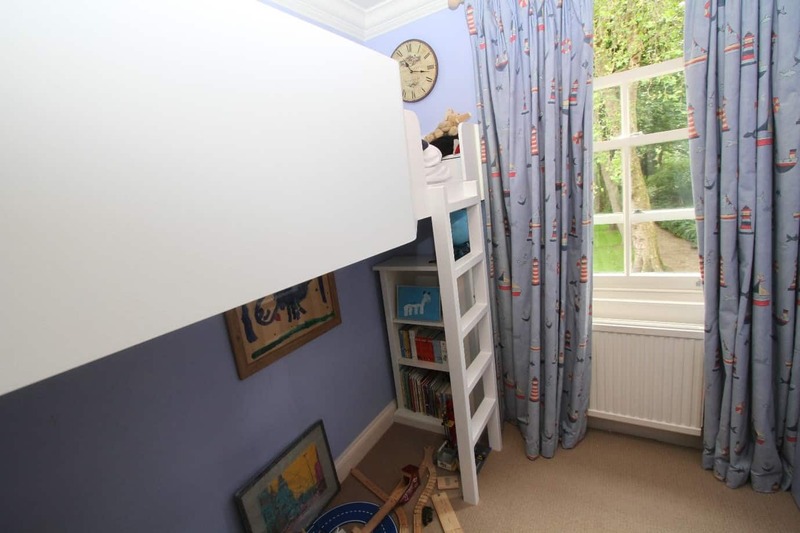 It is actually a house insulating material, so no one would be crazy enough to want to use it for furniture anyway. 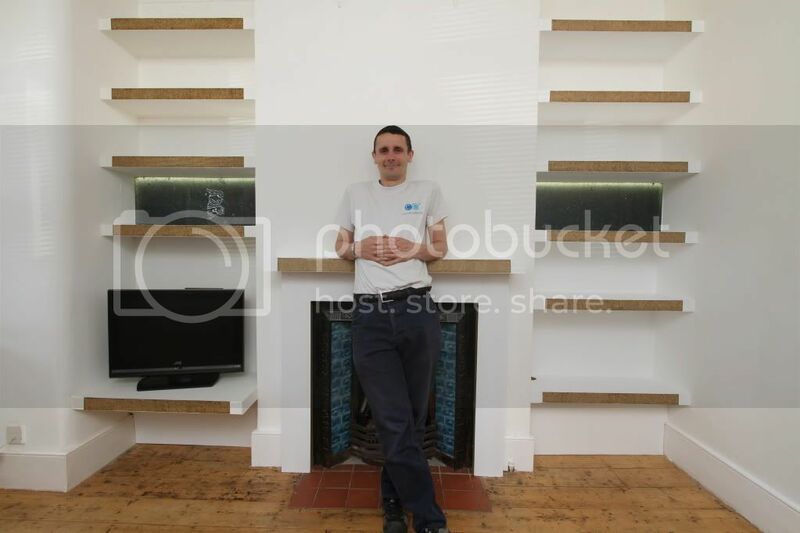 But I look at things differently, I start with the material then see how I can use it in my fitted furniture design. When I saw this Stramit strawboard at the “EcoBuild” show this year I jut fell in love with it, I touched it, stroked it, smelled and took pictures of it, if you see me doing that, you know I have found something good. 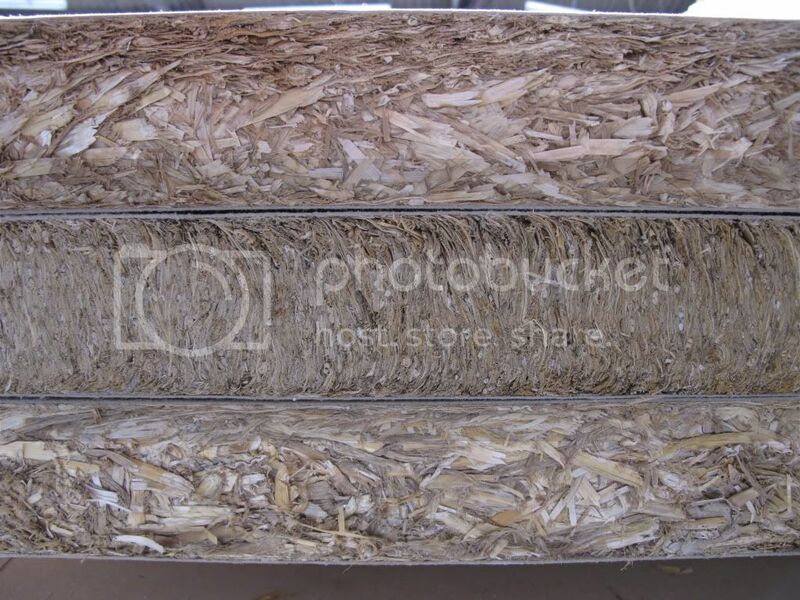 I had found it earlier on the internet while I was doing my research for my straw board article and what really caught my attention was firstly that it was made in the UK from waste straw, and to finish it all off it was not bonded with any glue, it is just pressed at high pressure, it is very dense, you would not think it but it is, the outside is cladded with a thick art paper just to keep it together and this is glued on with minimal glue, a completely different thing to using it on the inside to bond the straw together. Stramit Strawboard cut lengthways the strongest for shelves and cross cut the pretiest if you are leaving it exposed like I have but weaker. Here is the shelf finished with paint on the top and bottom faces and a natural plant based oil on the front straw part. Although it is very dense and pretty strong due to it’s thickness of 58mm, it isn’t super solid and you have to find the right application that is suitable for it, and that is what I did. 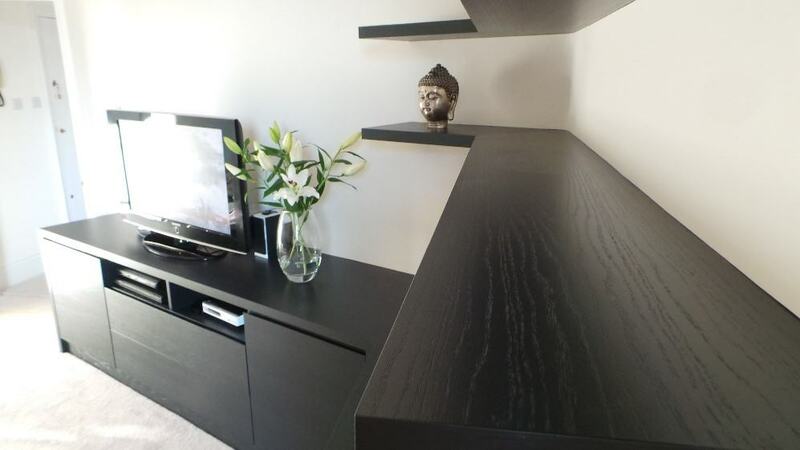 It could be made stronger by cladding it with 4mm thick hardboard too, hardboard is an amazing material because it is widely available and uses no glue to bind the fibres either, again just incredibly high pressure a bit like making very thick paper. 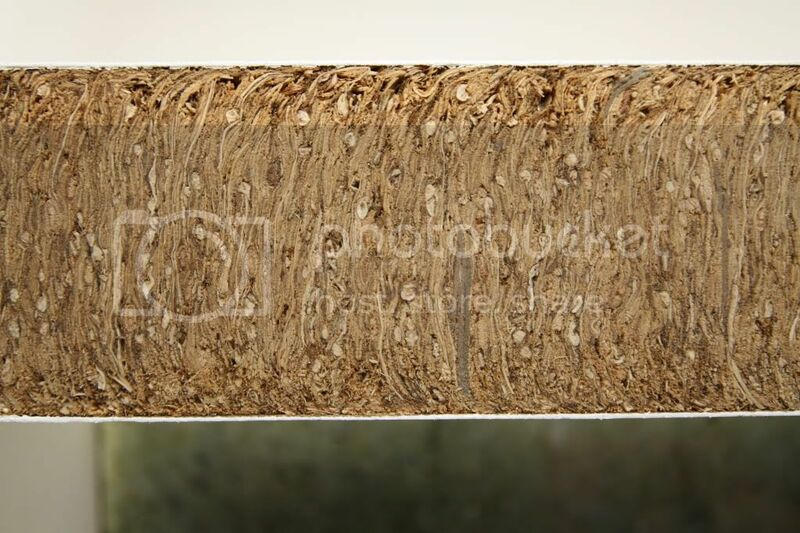 My aim is to promote materials like this that either use no glue to bind the fibres together or at least a natural glue made of plant based materials that can be composted or burned at the end of it’s useful life. Straw is a by product of the food industry and 2 million tonnes of it is wasted every year in the UK. Instead of taking that and burning it inificiently to make fuel, lets make something with it, such as strawboard, then when we have finished making something with it, then we can think of burning it, but the other way round does not make sense because you are skipping important steps, “The Renewability Steps”, these steps are, Reduse, Reuse, Remanufacture, Recycle, Burn (make energy) or better still use directly to heat our homes as this is more efficient than using it to make electricity. 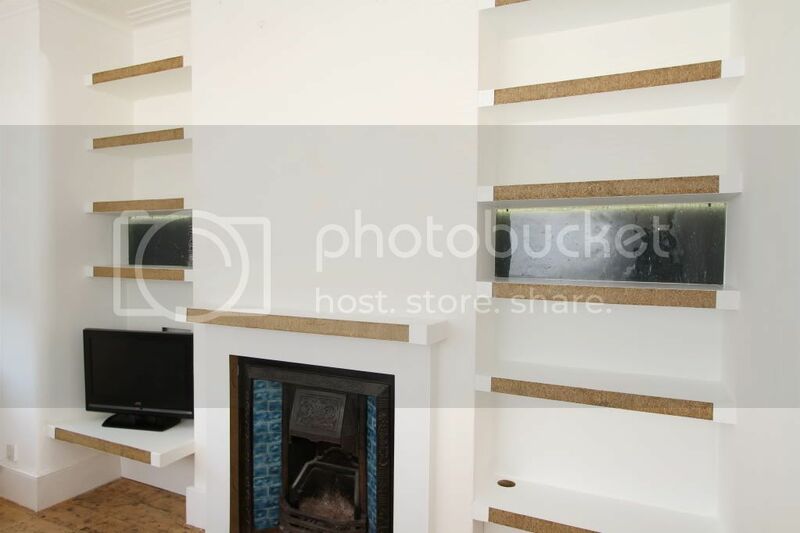 We used low voltage and wattage LED strip lighting with wires hidden behind hardboard panels that create a false back and a switch conceiled inside the bottom of the lowest TV shelf. The low power LED light adds life to the shelving and doesn’t consume much electricity. 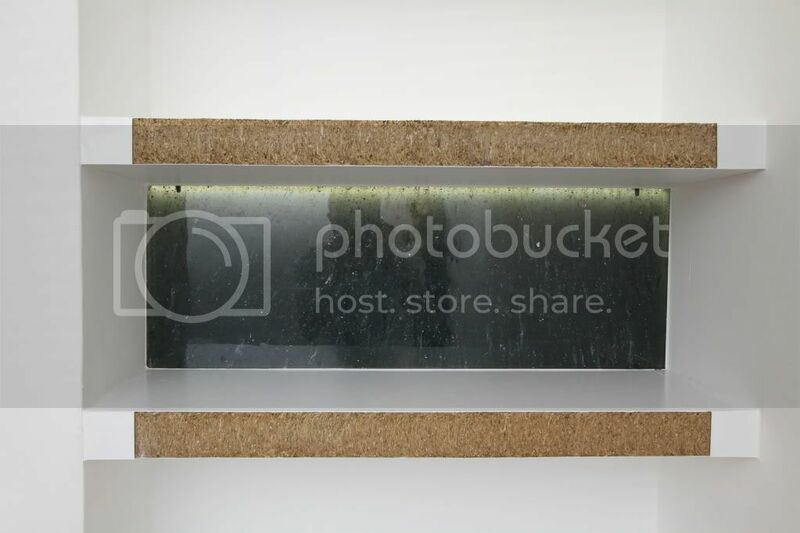 Recycled plastic with low power LED light shining through to give life to the shelves. We used recycled plastic panels sitting infront of these lights as a design feature. The plastic is made of confiscated elicit CD’s and DVD’s crushed into pieces and suspended inside melted recycled office drinking fountain water bottles, the recycling process uses minimal processing and melts the plastic just enough to blend the materials together. 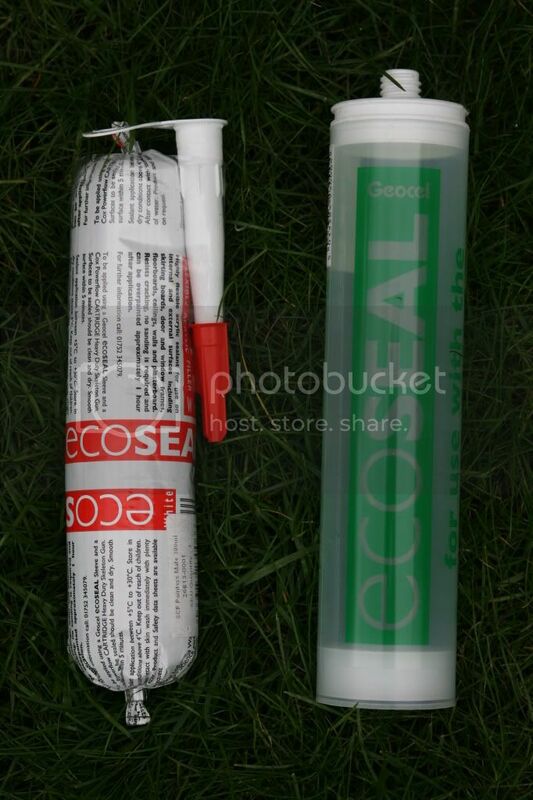 EcoSeal Flexible Filler with re-usable cartridge. Where flexible filler was not required, we used a natural chalk based powedered filler by Auro. Natural chalk based filler by Auro.We used Auro paint and oil because it is made of natural plant based materials such as linseed oil and orange oil, their factory in Germany uses wind and solar power to run part of it and they collect rain water to wash out their machines, they harvest linseed from crops close to the factory. I like things that are as simple as possible and use natural materials that are renewable. 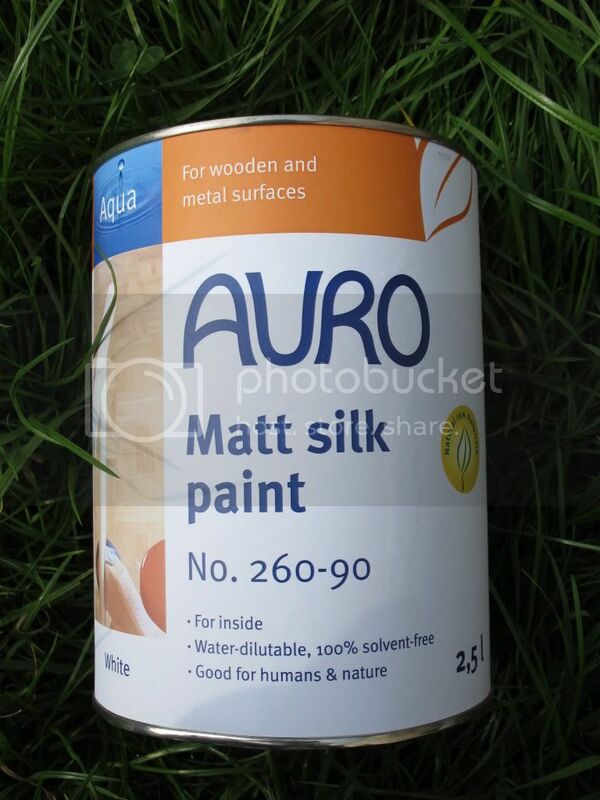 Auro’s paint uses natural renewable ingredients. I would like to thank Stramit for helping me out with more strawboard should I need it, I really appreicate it.